In this feature, the third in our four-part series on beginning birdwatching, we take a look at some of the equipment owned by birders, and how choosing the right equipment will help you to develop your bird watching skills. While it’s true that all you need to start your bird watching adventure is your eyes, your ears and bucket loads of enthusiasm, as with any hobby, as your interest in birds develops you’re going to want to invest in some equipment to help you get more out of the time you put in. Here’s our guide to the gear you’ll need as your hobby develops. A notebook and a pencil are invaluable for recording the birds you see… and crucially for jotting down features / sketches of birds you don’t recognise so you can look them up in your field guide (see below). Another option, if you’d rather not carry a notebook, is your mobile phone: most smartphones offer a note-taking facility you can use to jot things down, and offer a voice recording feature to make audio notes. Whatever option you choose it’s always a good idea to have some way of taking notes when out in the field. No matter how good a memory you have you’d be amazed at how “fuzzy” the detail gets when trying to recall subtle plumage characteristics when looking up an unidentified bird later. Good quality waterproof gear, appropriate footwear and warm layers are as essential for bird watching as they are for any other outdoor activity. It’s highly likely you already own appropriate outdoor wear, so we won’t go into detail here… just remember that for birding and other wildlife subdued browns, greens or darker colours are best — so if your rain-gear is day-glo orange you may want to reconsider. The first thing any budding birder needs is a reference to help them identify the birds that they see. Every birder, no matter how experienced, will need to turn to their field guide from time to time, and when you’re just starting out a good field guide is an essential learning tool that you won’t want to go out without. The Birds of Ireland: A Field Guide is an excellent little photographic field guide focussed on the birds you’re most likely to see in Ireland. There is a bewildering array of field guides out there. Which you choose is up to you. A lot of the decision will be down to personal preference. Some people swear by illustrations, others prefer photos, some like a combination of both. Whichever you choose here are a few things to consider when selecting the right field guide for you. A field guide, by definition, is a book designed to take with you out in the field to help you identify the birds you see. It’s a fact a lot of field guide publishers seem to forget in that elusive quest to find the ideal compromise between page real-estate and portability. Bigger pages allow for larger images or illustrations, and more comprehensive text… but they also make a book heavier and more unwieldy to carry in the field. Consider what you can comfortably carry. Will the guide you’re looking at fit in your jacket pocket, or your day-pack without being too cumbersome and heavy for day-long birding? Another consideration is the durability of the book — you expect a field guide to become well thumbed, and dog-ears on the page corners are inevitable — but how well will your guide stand up to repeated use in damp conditions? Is the cover laminated, are the pages robust enough not to tear when wet? Field guides vary significantly in the scope of their coverage — both in terms of geographic range and species covered within that range, so its important to consider what you need from your main guide. More comprehensive guides covering the whole of Europe, like the superb Collins Bird Guide (the go-to field guide for many experienced European birders), tend to be weightier tomes. They can also be a little bit overwhelming when you’re starting out, as they typically include many species that you’re never likely to encounter on or near your home patch. That can make it trickier to pin down a positive ID on the birds you have seen. 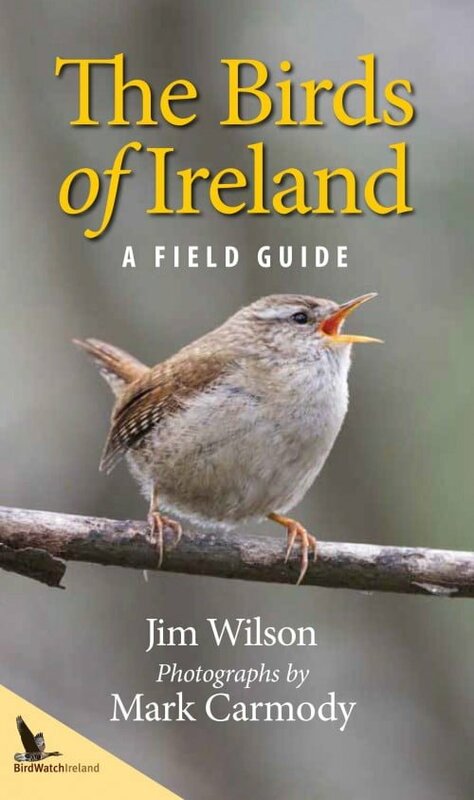 A more locally focussed book, like the excellent “Birds of Ireland: A Field Guide”, may be a better option to get you started, allowing you to zone in on just the birds you’re most likely to see in your part of the world. 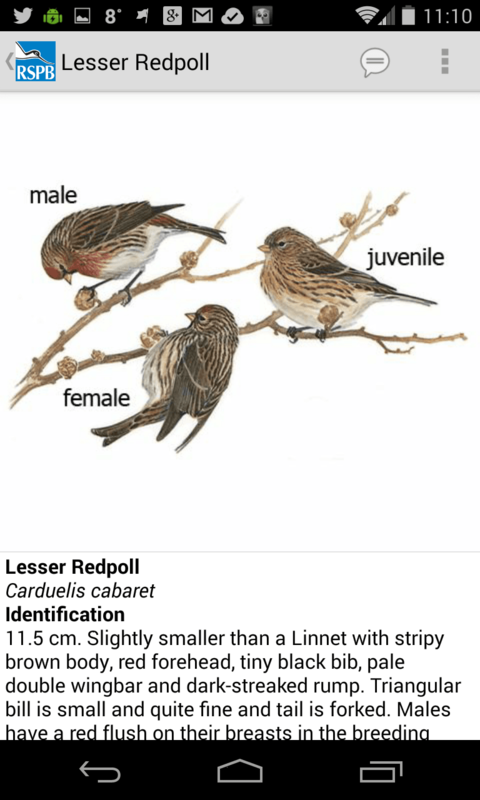 The entry for lesser redpoll in the RSPB e-Guide to British Birds — you can swipe and zoom illustrations, and there’s a wealth of information on each bird species. When it comes to the visual side of field guides different people prefer different things. Some prefer good quality illustrations, while others swear by the new breed of photographic guide, and some use a combination of both. Whichever you choose, make sure the photos or illustrations in your guide are clear and sharp, that they show the birds in a variety of different poses and situations as you’re likely to see them in the field. You’ll also need your guide to clearly show plumage variations between male and female, breeding and non-breeding and juvenile and adult birds. Smartphone and tablet apps are becoming more common — the “e-Guide to British Birds” (Google Play Store, Apple App Store) and now the app version of the vaunted Colin’s Bird Guide (Google Play Store, Apple App Store) are good examples — there are several others. While these don’t necessarily replace a traditional field guide, they can be handy in situations where its simply impractical to carry a field guide, and it means you always have a guide handy as long as you have your phone with you — so they’re ideal if you’re travelling and don’t want to carry a heavy book around. Many also allow you to do things that a book can’t, like listen to a bird calls and songs, and keep track of your sightings at particular birding locations. The Endurance ED range from Hawke Optics offers an ideal balance of affordability and quality for birders looking for their first serious pair of binoculars. One of the biggest challenges when watching birds (or any other wildlife come to that) is getting close enough to your subject to see it clearly. You want the best views possible without disturbing the object of your attention unduly. That’s where binoculars come in. Next to your eyes and ears, a good pair of binoculars is perhaps the most useful piece of birding equipment you’ll ever own. Most experienced birders become very attached to their binoculars, and carry them everywhere. They increase your opportunities of seeing and identifying birds exponentially. When it comes to binoculars the choice on offer is even more bewildering than field guides. There are simply so many brands and models to choose from. Magnification: typically you’ll want something between 7x and 10x for comfortable birding. Lower magnifications offer a wider field of view and brighter image; higher magnifications get you closer, and show more detail, but at the expense of your field of view and image brightness. Size: basically the bigger the objective lens at the front of the binocular, the brighter and sharper the resulting image. Birders typically use full size (c. 42mm) or mid-size (c. 32mm) binoculars which are comfortable to carry and use all day and stay bright enough to use as the light fades. Style: porro-prisms or roof-prism — porro-prism is the traditional binocular design, roof-prisms are sleeker, more modern straight barrelled instruments. Choose porro-prisms for better image quality on a budget, choose roof prisms for better ergonomics if you’re prepared to spend a bit more for quality coatings. Optical quality: it stands to reason — the better the quality of the optical components in the binocular, the better the view will be through the binocular. Look for features like BAK4 glass and ED / HD objective lenses. Coatings: only buy binoculars that specify they are fully-multi-coated for birding and wildlife watching. If buying roof prisms check for “phase correction” coatings on the prisms to ensure optimum image quality. For the brightest image look for dielectric mirror coatings on the prisms of roof-prism binoculars. Field of View: compare the field of view of different binoculars before you buy — a wider field of view makes it easier to find and follow birds, but usually comes at a price. Budget: good quality binoculars aren’t cheap, but look at your binoculars as a long-term investment that will deliver value every time you use them, potentially for decades. Buy the best pair you can afford. We’ve also published a “Choosing Binoculars for Birdwatching and Wildlife” guide on the Amazon Kindle platform — you’ll find it on Amazon UK here, and on Amazon US here (or just search for “Choosing Binoculars” in your local Amazon store). NB. 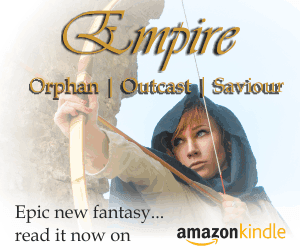 You can read Kindle content on your Kindle e-reader OR via free Kindle apps for PC, MAC, iOS and Android devices. A spotting scope or field scope is simply a telescope designed for terrestrial rather than astronomic observation. They are typically used from a tripod or other support, and offer much higher magnification than binoculars — getting you much closer to the action when out birding. Particularly when you’re starting out, a spotting scope is a “nice-to-have” rather than a “must-have” — but we’ve included it here as it’s probably the next item on the wish list of most birders after a good quality pair of binoculars. Spotting scopes, like this excellent Hawke Optics Endurance ED 20-60×85, get you closer to the action, offering stunning views of distant birds. Spotting scopes are, by their nature, quite cumbersome and heavy to carry around. While you’ll carry your binoculars almost all the time, most birders will carry a scope only in birding situations that demand observation over longer distances… or where they don’t have to walk too far from the car. They are ideal observation instruments when you can’t physically move closer to the birds — for waders feeding on expansive mud flats, seabird colonies on distant cliff faces, or watching distant seabirds passing coastal headlands (a discipline of birding known as seawatching). However, scopes aren’t just for long distance observation — they can also offer truly breathtaking views of birds that are a bit closer. A scope will never replace your binoculars as your primary birding optic — but it will enhance your birding in lots of situations, and allow you to view and identify more birds, more reliably at greater distances. By employing a digiscoping adapter a good quality spotting scope can be used as a “super telephoto” camera lens, allowing you to get close-up photographs of the birds you see. Good quality spotting scopes are expensive — but they will serve you for a long time, and the view through top scopes is simply sublime. One caveat to mention here is that the higher magnification of scopes tends to make them less forgiving than binoculars when it comes to imperfections. Consequently, you often have to move further along the “price/quality” curve with scopes to get the view you really want. Objective size: scopes typically come in two sizes — those with 60-65mm objective lenses and those with objective lenses 80mm and larger. The smaller scopes are obviously going to be lighter and more portable, but don’t let in as much light as the larger scopes, and will be darker, particularly at higher magnifications. Magnification: the magnification of a scope is determined by its eyepiece. Choose a fixed wide angle eyepiece of about 30x or a high-quality wide-angle zoom eyepiece (typically falling within the 20x-60x range) for maximum birding versatility. Fixed focal length eyepieces tend to offer better quality for the money, while zooms offer more flexibility but sacrifice some image quality. The best zooms offer both. Optical quality: as with binoculars the quality of the glass and coatings in the optical system dictate how well the scope will perform in challenging conditions. Higher spec components (like an ED objective lens and superior anti-reflective coatings, for example) will improve the scope’s performance across a wide range of field conditions… but come at a price. Support: as you increase magnification you also magnify any movement or vibration of the scope. The view through any spotting scope is only as good as the support you put it on. When buying a scope be sure to factor in the cost of a sturdy yet lightweight tripod to mount it on. Budget: as with binoculars, good quality scopes are expensive — but because of the unforgiving nature of higher magnifications the quality of a scope can be even more critical. Again, the advice is to buy the best you can afford. No matter how much gear you have, there’s always something else to buy — another book, a spare pair of binoculars, digiscoping adapters, scope carriers, a better tripod, cameras, lenses and all sorts of other paraphernalia that may or may not appeal to you. However, the basics we’ve outlined above are a great place to start — and will set you up with a great foundation to develop your interest in birds for years to come. In the next instalment of Birding for Beginners we’ll take a look at expanding the scope of your birding, improving your skills, taping into the local bird grapevine and contributing to bird conservation through citizen science projects. 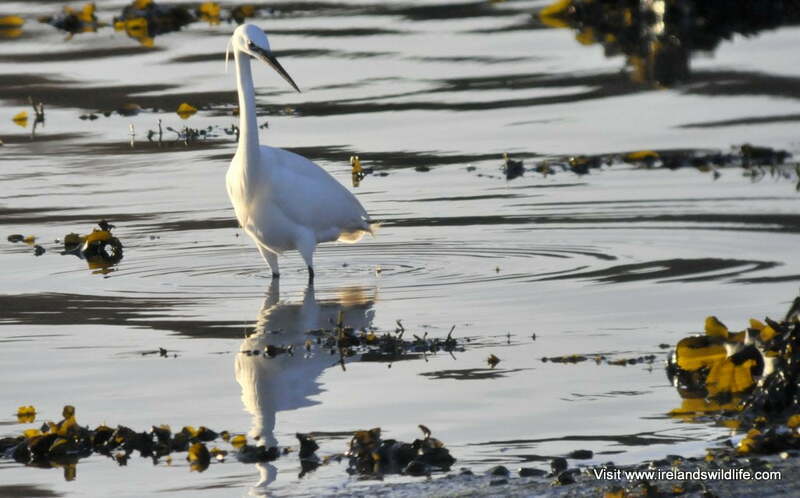 If you’d like to keep up to date with Ireland’s Wildlife enter your details to join our mailing list. We will only email you in relation to Ireland’s Wildlife and associated offers and updates… you can unsubscribe at any time and we will not share your email address. This four-part "Beginning Birdwatching" series, is brought to you in association with UK company Hawke Optics, who produce a range of affordable high-quality binoculars and spotting scopes perfect for birding and wildlife observation. The series introduces the wonderful world of bird watching, and offers hints, tips and advice on getting started in this fascinating lifelong hobby.